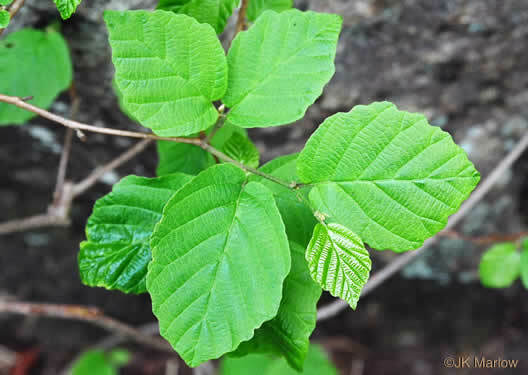 Your search found 10 image(s) of leaves of Hazel Alder, Hazelnut, Witch Hazel and Witch-alder. 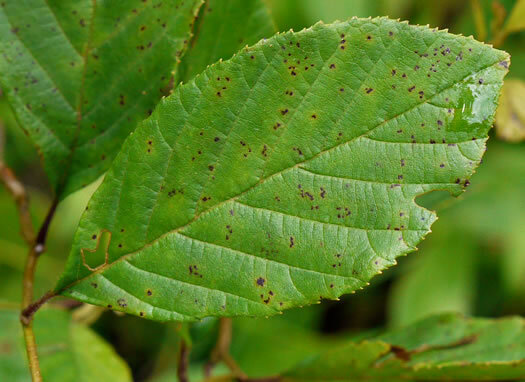 Leaves straight-veined, petiolate; apex acute or rounded; base widely cuneate, per Vascular Flora of the Carolinas. Leaves soft-hairy beneath, doubly-serrate, base heart-shaped or rounded, per Forest Plants of the Southeast and Their Wildlife Uses. 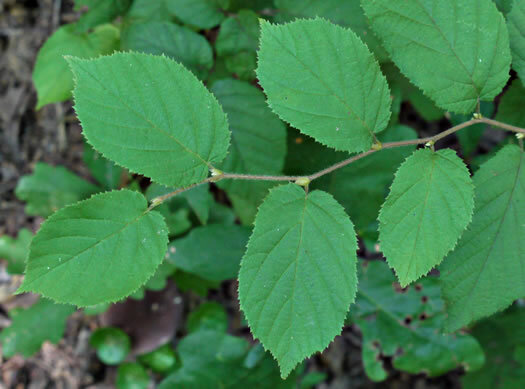 Leaves doubly-toothed, heart-shaped at base, and hairy, per Woody Plants of the Blue Ridge. 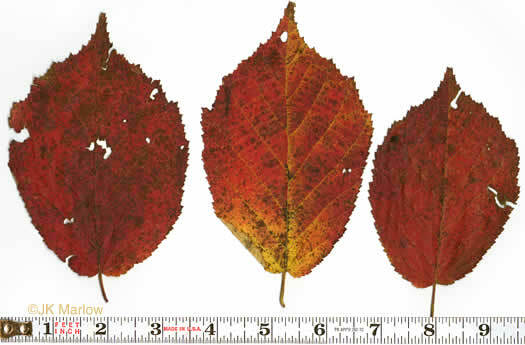 Leaves are wavy-toothed and uneven at base, per Woody Plants of the Blue Ridge. 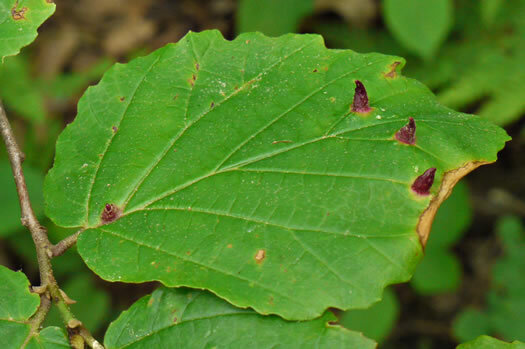 Base of lateral veins included in leaf tissue (vs. marginal in Fothergilla), per Weakley's Flora. 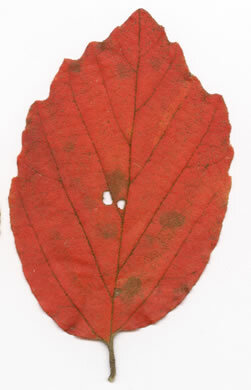 Leaves up to 6cm long and 5cm wide (the largest < 5.2cm wide), per Weakley's Flora. 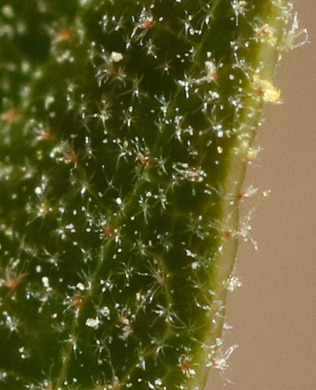 Leaves stellate-pubescent above (vs. F. major being sparsely so or glabrous), per Weakley's Flora. 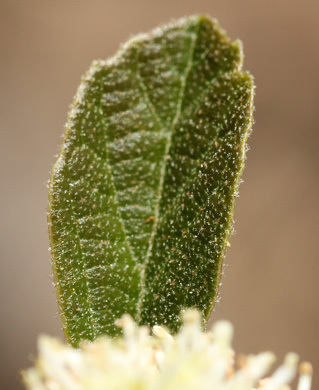 Leaves reminiscent of the closely related small tree, Witch Hazel, per Atlantic Coastal Plain Wildflowers. 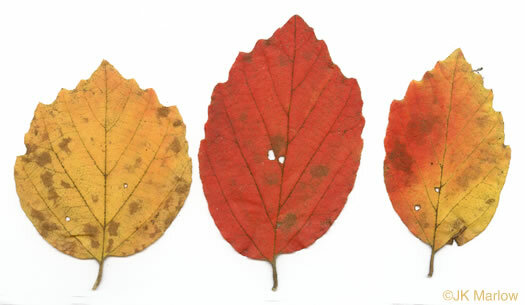 Base of lateral veins marginal (vs. included in leaf tissue in Hamamelis), per Weakley's Flora. 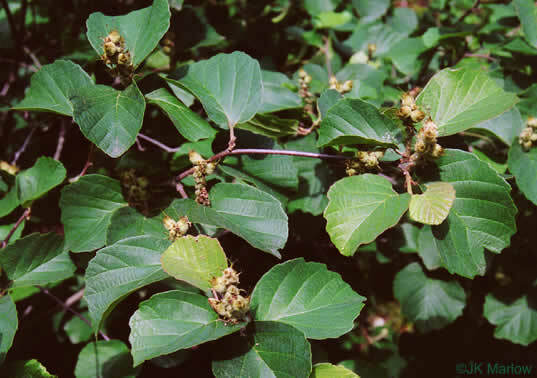 Lf lobed or coarsely toothed near tip, or entire; base rounded or ~ cordate, per Native Shrubs and Woody Vines of the Southeast.